It has been raining quite a bit this week! 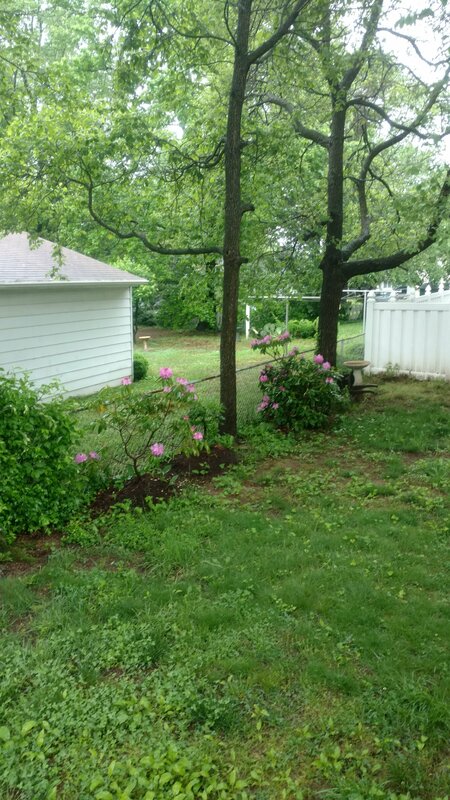 Below are my happy-ish rhododendrons that I had transplanted not too long ago. It is hard to see from this photo, but the little rhody in the middle doesn’t have any blooms at all. What is that all about? Need to google that! 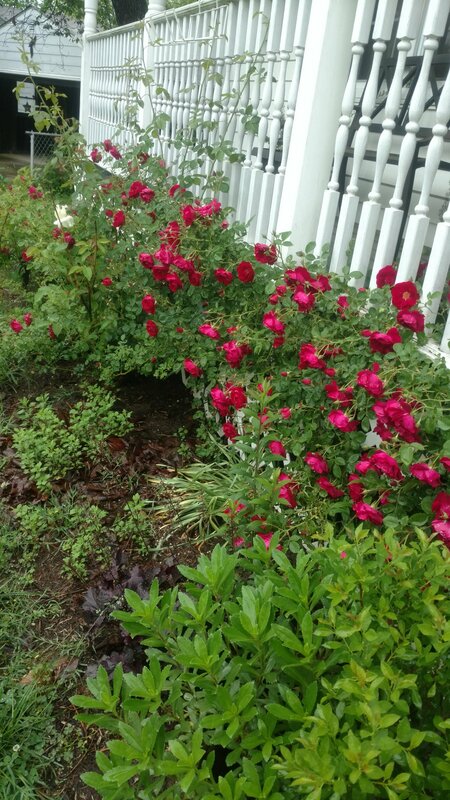 These roses have been beaten down by rain! But look at all those flowers! 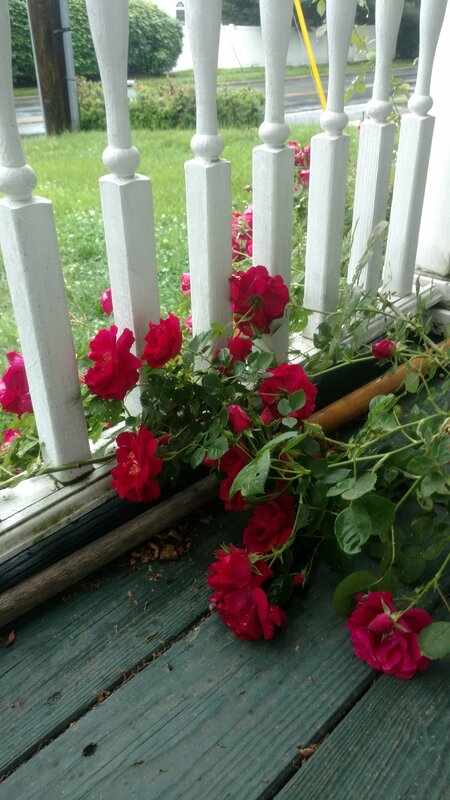 The roses are trying to take over the porch! On a side note, look how long our grass is! So. much. rain.